Teaching Aid or Art Sculpture? 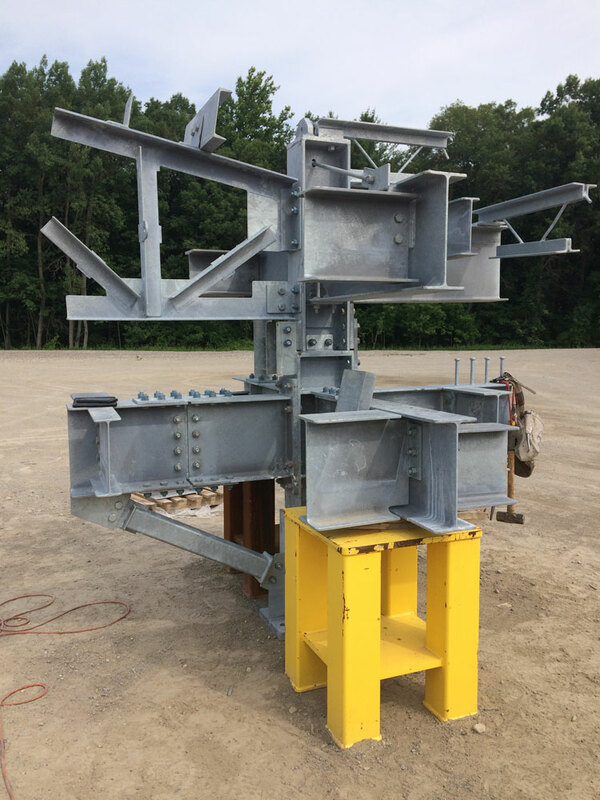 - Walters Group Inc. Teaching Aid or Art Sculpture? 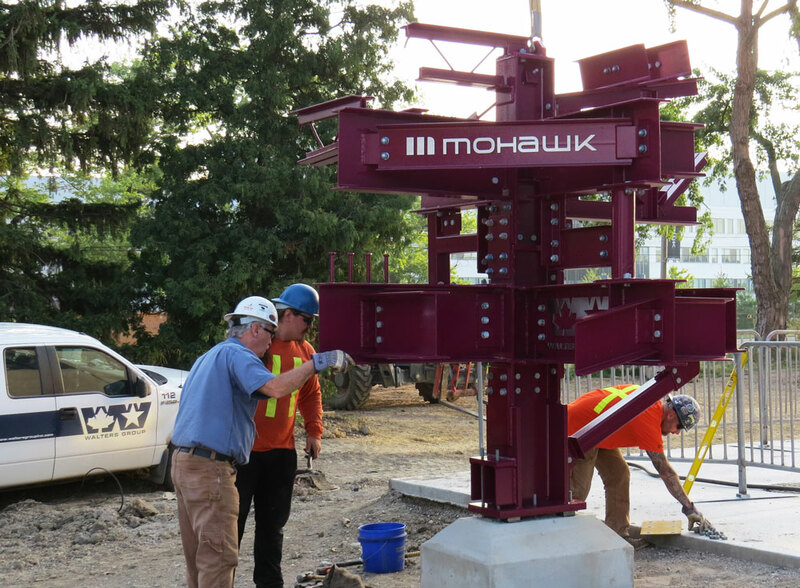 Walters recently completed a structural steel Teaching Aid for Mohawk College. 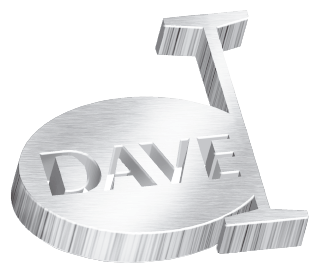 In January, our detailing team became involved in this unique project. 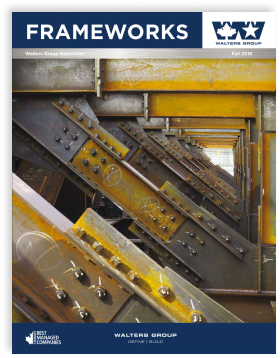 And what is a structural steel teaching aid exactly? 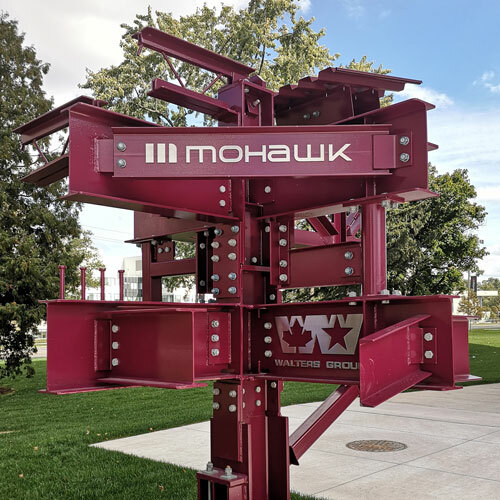 These steel sculptures are valuable teaching aids that exemplify the many methods of steel framing and their corresponding connections. 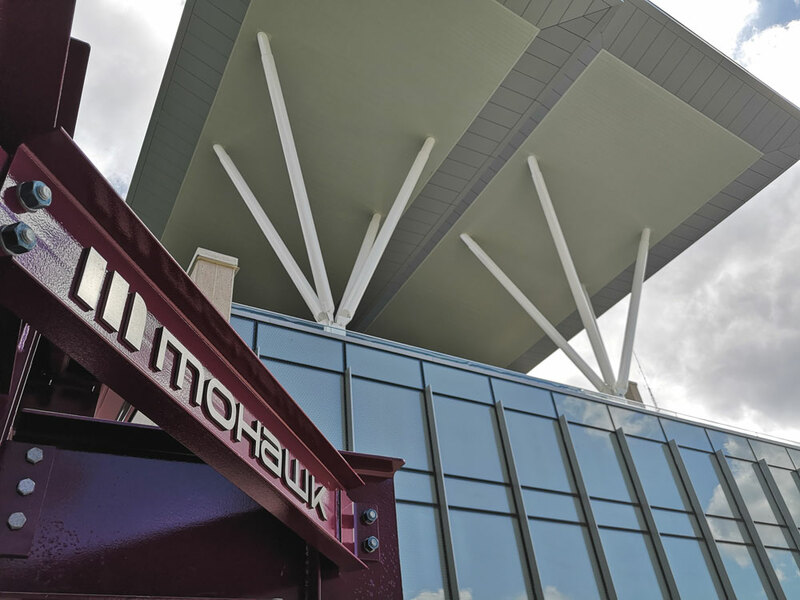 Students are able to get a true visual understanding of steel framing and steel connections. In fact, these Teaching Aids are currently in place at more than 170 colleges and universities across the United States and around the world! 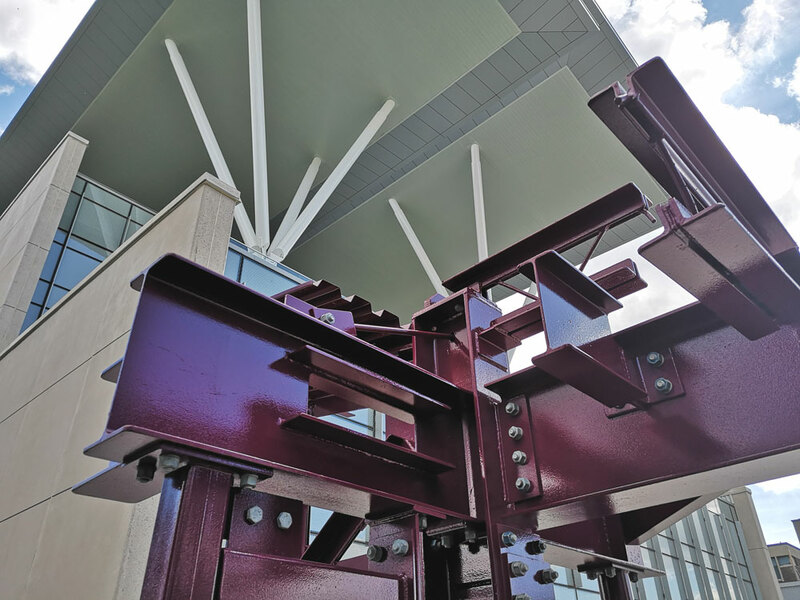 A quick online search revealed that the American Institute of Steel Construction (AISC)’s website had steel sculpture plans available for download, which is how the detailing team got started. Based on the AISC design, they made a few changes that were not shop or site friendly. The team also changed a few member sizes to use dead stock material. 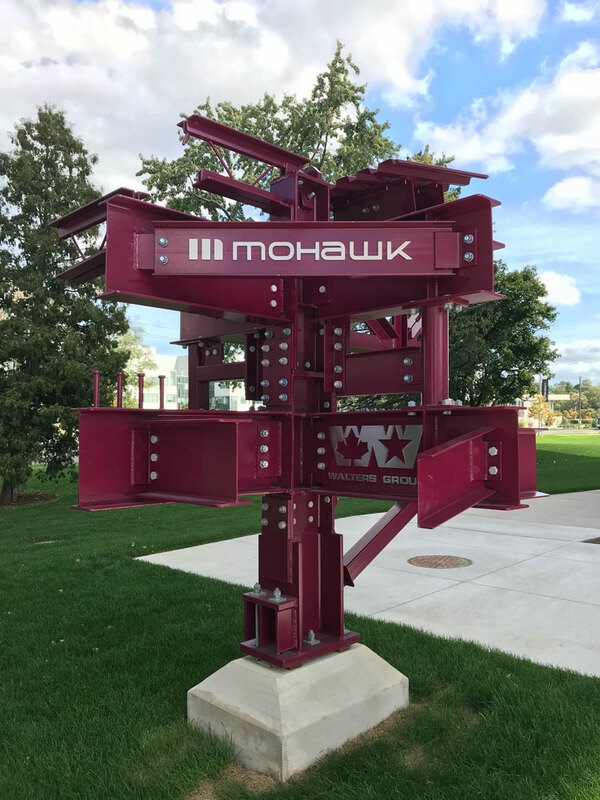 The detailers involved in this initiative are all recent Mohawk graduates and expressed gratitude for the opportunity to be able to contribute to the education of future Mohawk students in such a unique capacity. A true full circle moment!